Today is mine and my husband’s 15th wedding anniversary! I’m so thrilled that we’ve been able to spend a little time alone together this week. God has taken the two of us on such an adventure over the last 15 years. He has blessed us richly and we are especially grateful today. 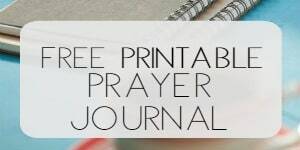 Click on the graphic above to download a free printable and share a copy of the challenge with a friend! Remember to come by on Fridays and share what you are learning. We encourage one another through the comments and you can follow along on Instagram for almost daily inspirational posts. If you’d like to add your own posts, use the hashtag #onemorestep. Happy Anniversary! 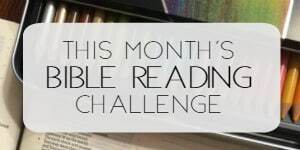 Great topic for the bible reading challenge! Happy Anniversary!!! May God give you and yours abundant blessings for another 15. Couldn’t have come at a better time…thank you. Happy Anniversary! May God continue to bless you both! Our 31st W Anniversary was April 27th. We have been under attack for many years. Happy anniversary to you. You are such a lovely person. I’m so glad I found your website to be able to get hold of so much inspiration. 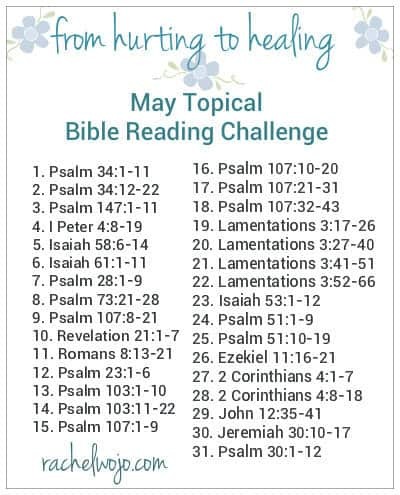 I really need this May’s Bible Study. Thanks for everything. Can’t wait for your mails to appear in my box. Heading into a time of a healing journey with Papa! Your reading is timely! 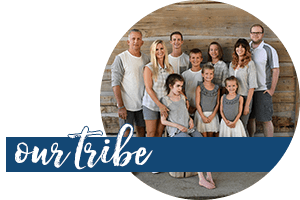 Thank you for your inspiration and Scriptures for “From Hurting to Healing.” This past Mother’s Day marked the second anniversary of the death of my daughter. She passed away on May 10, 2013 unexpectedly. She was twenty-eight and left behind two young children. Some days it’s such a struggle to even make it through the day. I know God is my strength and help and He has been with me through each painful day. I will look these Scriptures up and meditate on them as I continue on my grief journey. Thanks and God bless. 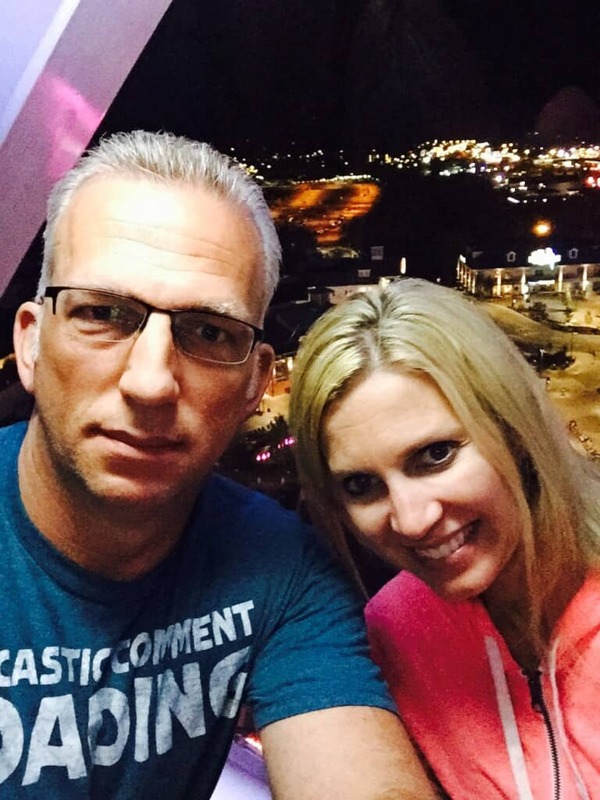 Lori, my heart aches for your loss. May God’s Word comfort you in abundance.